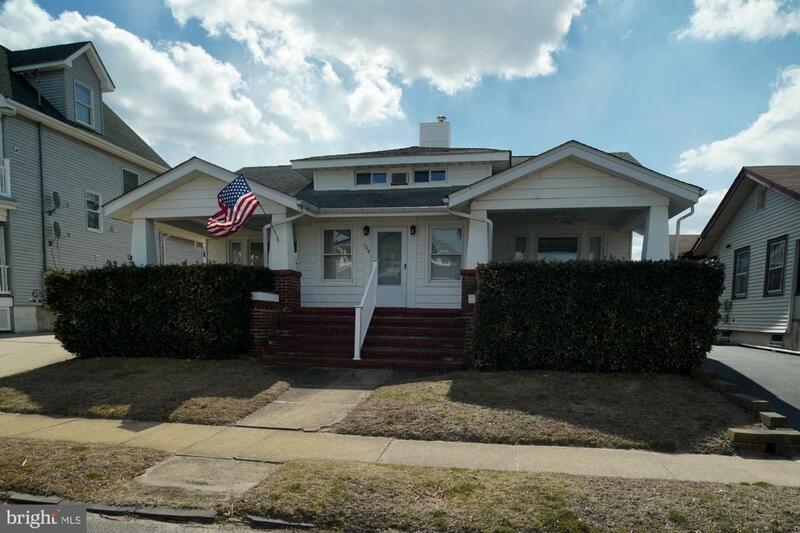 ''Beach Block'' home in the south end of Bradley on a 50x 150 lot. 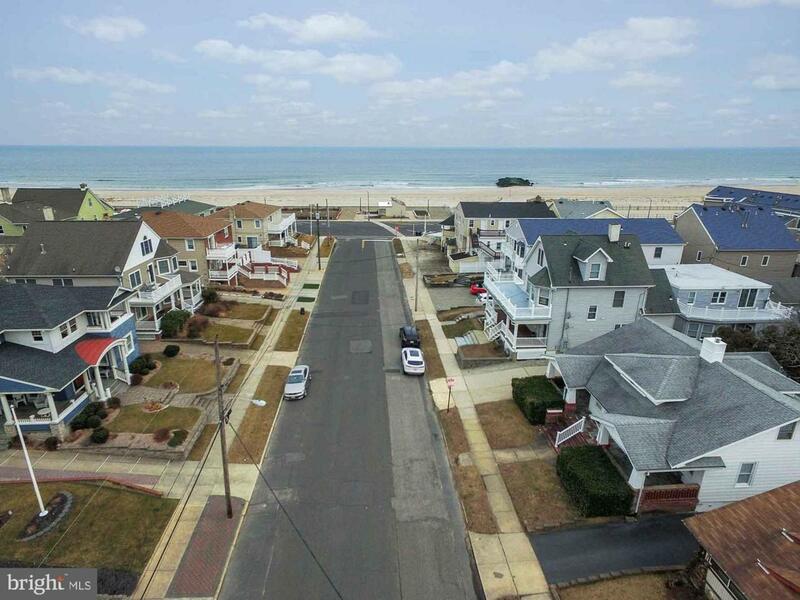 You will enjoy ocean views from the front porch and a short walk to the beach entrance & Bocci courts. 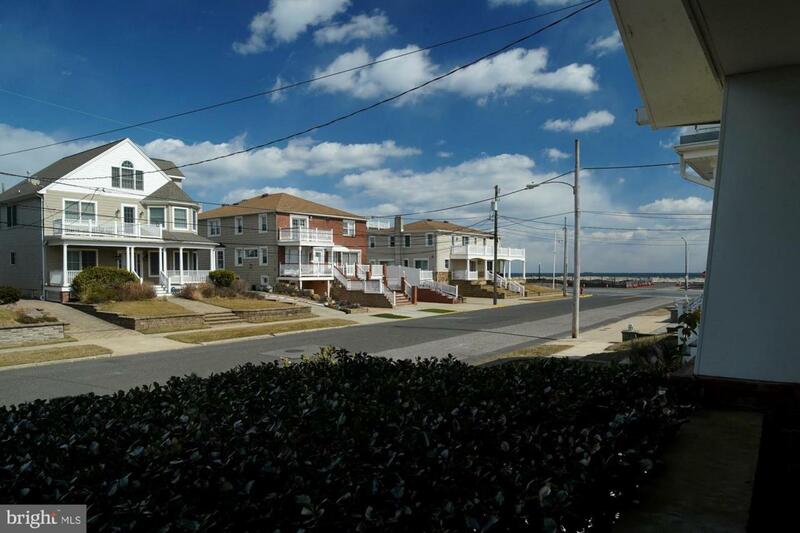 4 houses from the beach sits this 5 BR 2.5 BA home. The first floor has open concept Living rm-Dining rm with hard wood floors, gas ventless fireplace, coffered ceiling in the dining rm. The kitchen is off the back of the house,& has back door to access yard. There are 2 bedrooms, a den and an updated full bath that complete the 1st floor. 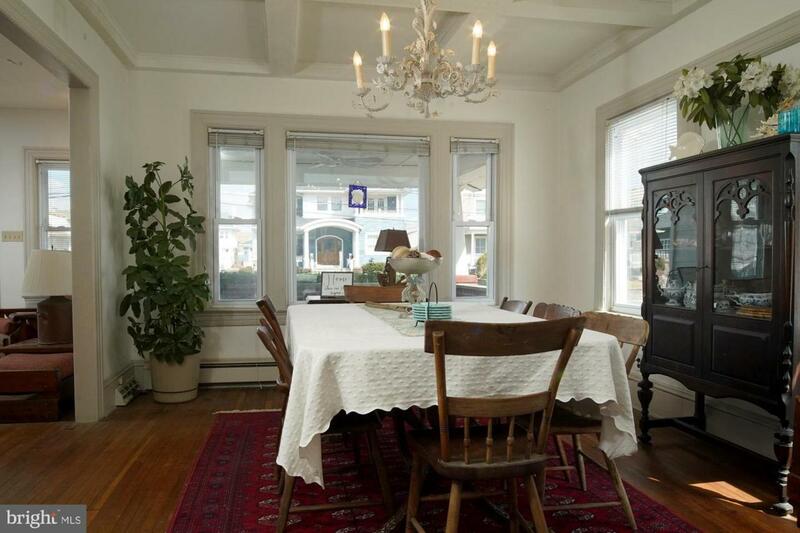 Upstairs has 3 bedrooms with cape cod style slanted angled ceilings that add character to the space. A full bath with a low ceiling serves the 3 BR's upstairs. Full walk out basement w/half BA, Fenced yard,O/D shower, driveway, detached garage complete this home. Bring your ideas!